Sheikh Azzam al-Khatib, director of Islamic Endowments Department, said that Israeli break-ins into Al-Aqsa Mosque during 2017 were notably escalated. Speaking to the PIC reporter, Sheikh al-Khatib affirmed that 26,000 settlers stormed the holy shrine over 2017 under Israeli government’ support. The rate constitutes the highest over the years, he added. Sheikh al-Khatib raised alarm bells over Israeli ongoing attempts to change the status quo in the Mosque. 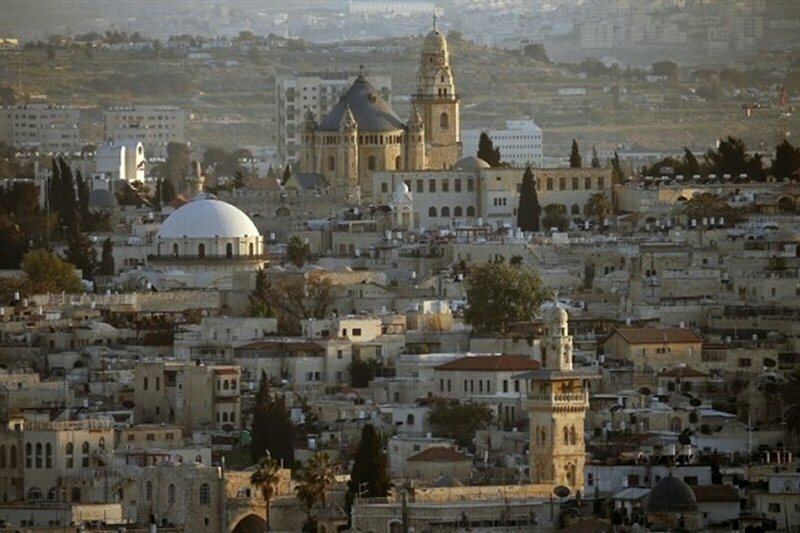 Dozens of fanatic Jewish settlers on Saturday assaulted a group of Palestinian municipality staff while paving the roads of the Old City in al-Khalil in the southern West Bank. The PIC reporter said that extremist settlers raided al-Ibrahimi Mosque in the Old City and asked the workers to leave the area. When they refused to do so, altercations and clashes resulted, he added. Israeli occupation forces were summoned by settlers who were attacking Palestinians with stones. The municipality staff were forced to end their works and leave the area after being injured and left with bruises. Qatar called on all countries to suspend diplomatic delegations to occupied Jerusalem, and adhere to UN Security Council decisions. The statement was issued Wednesday during the meeting of ministers council held at the Emiri Diwan in Doha, chaired by Abdullah bin Nasser bin Khalifa Al Thani. According to Al Ray, the Qatari council called on all countries to refrain from sending diplomatic missions to occupied Jerusalem, comply with Security Council resolutions concerning the city, and to refrain from recognizing any measures contrary to these resolutions. Qatar expressed its hope that the international community would translate this resolution into practical steps to achieve a just, lasting and comprehensive peace on the basis of the resolutions of international legitimacy and the Arab peace initiative, leading to the establishment of an independent Palestinian state with Jerusalem as its capital. On December 6, US President Donald Trump announced occupied Jerusalem as the capital of Israel and that he will transfer his country’s embassy to it, sparking anger around the world. Up to initiative of Turkey and Yemen, the United Nations General Assembly passed, last Thursday, a resolution that considered the question of Jerusalem in the final status issue, in accordance with the relevant Security Council resolutions. The UN resolution also requires all states to refrain from establishing diplomatic missions in Jerusalem pursuant to Security Council Resolution 478 of 1980. 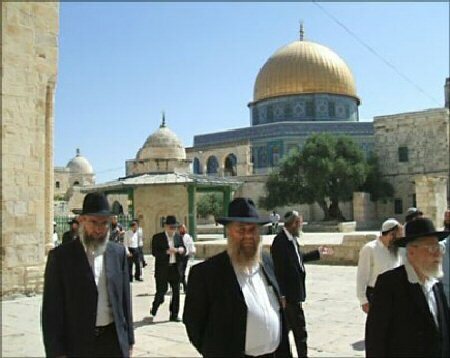 Dozens of Jewish settlers on Thursday morning desecrated the Aqsa Mosque’s courtyards under tight police guard. 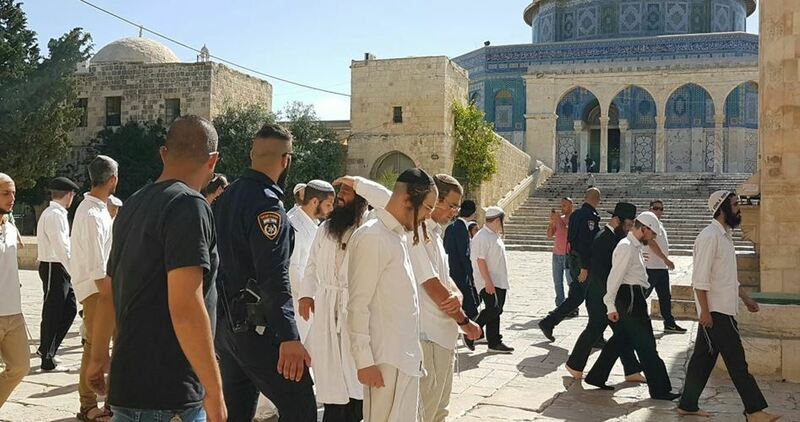 According to local media sources, about 112 settlers entered the Mosque in groups through al-Maghariba Gate, while several police troops were deployed throughout the Mosque’s plateaus and among Palestinian worshipers. During their presence at the Mosque, the settlers received information about the holy site, which they claim to be the temple mount, and some of them were seen performing quick rituals or mumbling prayers. The Israeli police allow Jewish settlers to take guided tours at the Aqsa Mosque on a daily basis, except on Fridays and Saturdays. After Guatemala, Israeli occupation authorities say that another two countries will move embassies of their countries to Jerusalem. 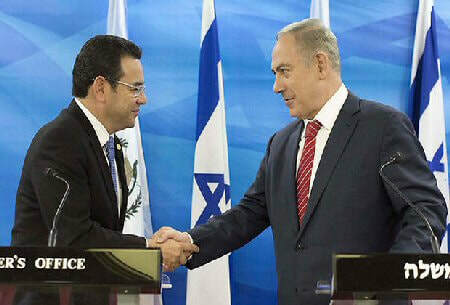 Guatemala’s eastern neighbors, Honduras and Paraguay, are also expected to join the trickle of embassies flowing into Jerusalem. Paraguay, according to Days of Palestine, abstained from the vote, despite having demonstrated, in the past, its particularly pro-Israel disposition. In his announcement, Guatemalan President Jimmy Morales said that moving his embassy would take place only after the US led the way, but Washington’s decision is expected to encounter significant delays that could last years, potentially outliving the Trump administration. 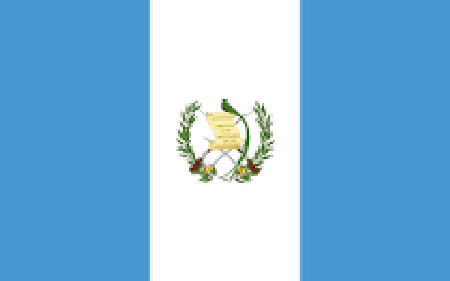 Guatemala kept its embassy in Jerusalem until 1980, but, following Israel’s decision to annex Jerusalem in 1980 and declare the city to be its united capital, a diplomatic spat ensued with a number of countries, Guatemala among them, which chose to move its embassy from Jerusalem to Tel Aviv in protest. Morales made his announcement in a Facebook post on Christmas Eve, following a conversation he had held with Prime Minister Benjamin Netanyahu and in the wake of Trump’s declaration on Jerusalem. Israeli settlers and members of Israeli intelligence stormed again, on Tuesday morning, the courtyards of Al-Aqsa Mosque from Mughrabi gate. Jerusalemite sources said, according to Al Ray, that settlers and intelligence forces stormed the courtyards of al-Aqsa protected by Israeli police. The settlers have been deliberately violating the sanctity of the courtyards, and storming it nearly every day, at 7 am, exploiting the small number of Palestinian worshipers. 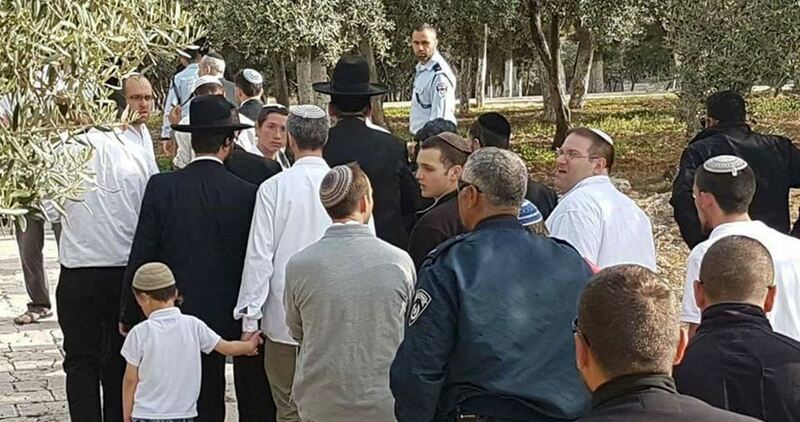 Some 44 Jewish settlers on Monday broke into the plazas of al-Aqsa Mosque during morning and afternoon rounds under tightened security measure by Israeli police. 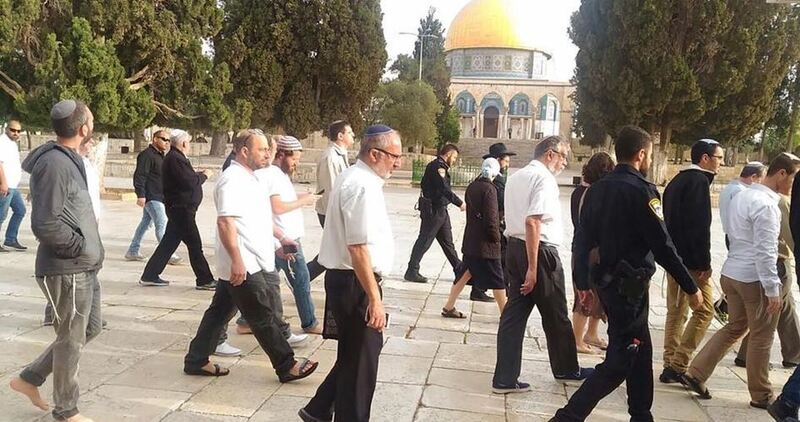 Islamic Endowment Department in Occupied Jerusalem told Quds Press that 30 settlers were allowed to tour the courtyards of the holy site in the morning round while 14 others were permitted to access the mosque’s plazas in the afternoon. 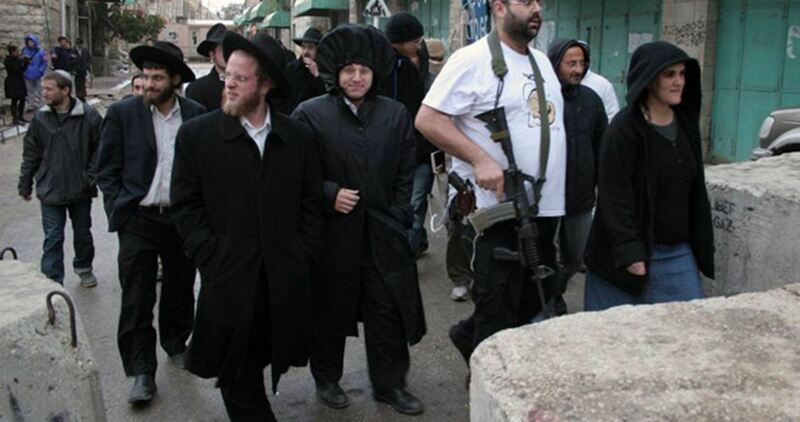 The settlers roamed the holy shrine and performed Talmudic rituals before exiting the mosque from al-Silsila gate. 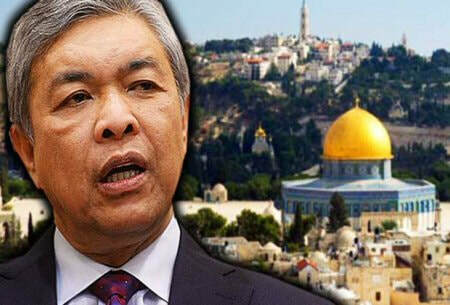 Deputy Malaysian Prime Minister Ahmad Zahid Hamidi has said that his country would open an embassy in occupied East Jerusalem, a report stated. Speaking to local media, the prime minister said that the cabinet would, next month, discuss a proposal by Malaysian Prime Minister Najib Razak for Malaysia to follow Turkey in opening an embassy in east Jerusalem to recognize the city as the Palestinian capital. Turkey said last week it would open an embassy in east Jerusalem once the world recognizes an independent Palestinian state, Turkish Foreign Minister Mevlut Cavusoglu said. He reiterated that said there was “serious determination” among countries that have not yet recognized Palestine to do so. “Once we succeed, embassies will open in the independent Palestinian state’s capital, east Jerusalem,” he said, according to Days of Palestine. The Malaysian Prime Minister led thousands of Malaysians in a rally, Friday, to show solidarity with Palestinians, slamming the US decision to recognize Jerusalem as Israel’s capital. Najib told the crowd that Malaysia will do all it can to “save Jerusalem” and that he will not be cowed by the US nor by his close ties with President Donald Trump. In September, Najib met Trump at the White House and, last month, posted a photograph of himself with Trump on Twitter, on the sidelines of a regional meeting in Manila. On Thursday, Malaysia joined more than 120 countries voting in favor of a UN General Assembly resolution calling for the United States to drop its recognition of Jerusalem as Israel’s capital, ignoring a threat by Trump to cut off financial aid to countries voting against his move. “Yes, I have visited the White House and yes, Trump is a good acquaintance, but I will not pawn the sanctity of Islam,” Najib said to loud cheers at the protest outside a mosque in the government capital of Putrajaya, after Friday prayers. “We are firm in our stand. We support the formation of a Palestine that is free and sovereign. We demand a Palestine with dignity and pride. 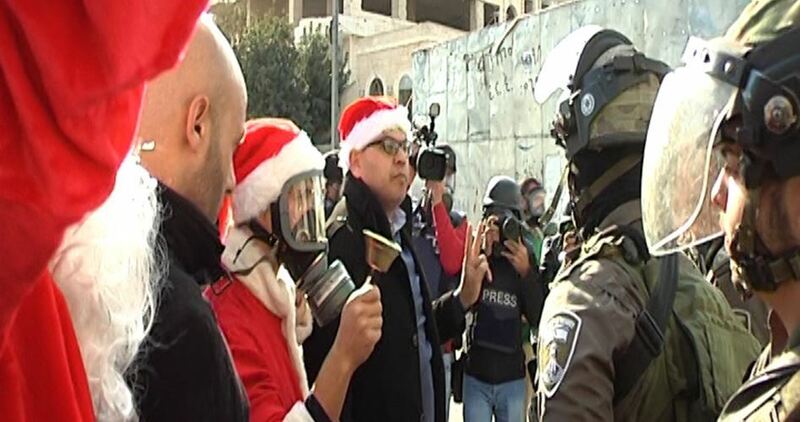 We want East Jerusalem as the capital of Palestine,” he said. 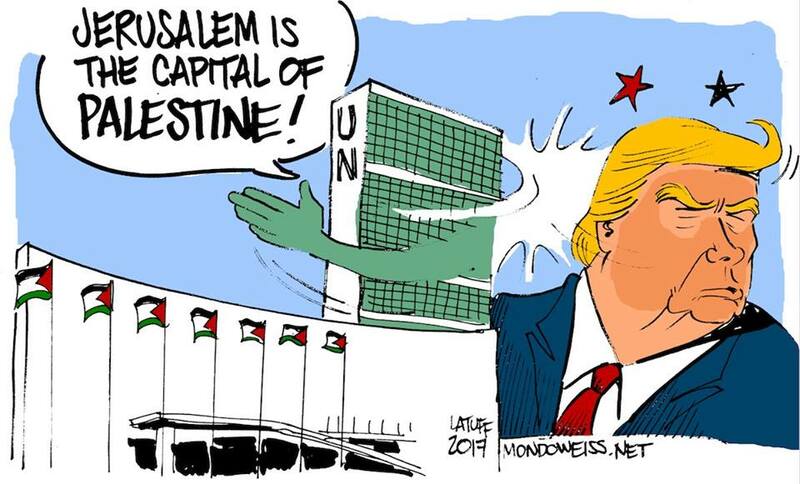 Earlier this month, Trump reversed decades of US policy by announcing that the United States government recognized Jerusalem as the capital of Israel, and said he would move US embassy there. Najib vowed to hold weekly protests in support of Palestinians. The United Nations General Assembly voted 128 to 9 on Thursday to denounce the U.S. President’s December 6th claim that Jerusalem is the capital of Israel, despite explicit US threats against those nations by both Donald Trump and the US Ambassador to the United Nations. The US vowed to cut aid to any nation that voted in favor of the resolution, which is likely what led to the 9 votes against and the 35 abstentions to the resolution. But how the US would be able to cut aid to nations like Jordan and Egypt, which are allies with the US in its Mid-east policy. The Israeli daily Ha’aretz criticized the Israeli Ambassador to the UN, Danny Ayalon, for his speech in advance of the vote, in which he called any nation that voted in favor of the resolution a ‘puppet’ to the Palestinian Authority. Critics noted that it is unclear how these nations could be puppets of an Authority that has no vote in the United Nations, and very little political or economic power, as well as lacking sovereignty as a nation. criticizing other nations, “What he didn’t do was address the text of the resolution that was before the General Assembly, or even make the case for how Trump’s declaration on Jerusalem advanced the cause of peace. On December 6th, US President Donald Trump made a unilateral declaration that Jerusalem was the capital of Israel , contradicting decades of US policy, flagrantly violating international law and signed peace agreements, and discarding the Palestinian people’s basic rights. In making that declaration, the U.S. government joined Israel as the only two countries in the world to claim that Jerusalem is the capital of Israel. In 1947, when the United Nations recommended a partition plan for Palestine in order to create a Jewish state on what had been Palestinian land, the city of Jerusalem was recommended to remain an international city in which all would be welcome. Following the declaration, the Israeli government has moved ahead full force with policies of displacement of Palestinian residents who have lived there hundreds, and, in some cases, thousands of years. The move has enflamed the tensions between the U.S. and the Muslim world, especially as it came a day after the U.S. Supreme Court decided to allow the travel ban to the U.S. that most legal experts say discriminates blatantly against Muslims. Palestinians living in Jerusalem already live under martial law by the Israeli military, and face significant discrimination, underfunding of schools and services, denial of civil law and due process, and loss of land, homes and communities. Palestinians fear that this move by the U.S. administration will embolden the Israeli government and militia movement to expand their program of ethnic cleansing of Palestinians in the city of Jerusalem. In response to the UN vote on Thursday, Palestinian Prime Minister Riyad al-Maliki said this meeting came to raise the voice of the International Community, the people around the world who took off to the streets to protest the illegal U.S stance regarding occupied Jerusalem. He added that this overwhelming majority that voted for this resolution at the Security Council have voted against all illegal attempts to change the legal status of Jerusalem. Al-Maliki thanked the Arab counties, member countries of the “Organization of Islamic Cooperation”, and the “The Non-Aligned Movement” states, for calling for this urgent session after the United States used its Veto power when Fourteen of the fifteen nations in the United Nations Security Council voted Monday reaffirming the status of the city of Jerusalem as unresolved, and challenging the U.S. administration’s decision to recognize Jerusalem as the capital of Israel. He added that this session came following the decision of the Cairo meeting of the Council of Arab Ministries, which was convened following a call from Palestine and Jordan, and also the special Islamic Summit which was held in Istanbul. Al-Maliki added that this meeting was not held because of “animosity towards the United States,” but to challenge its illegal decision which robs the Palestinians from their legal and historic right in occupied Jerusalem, and added that the American decision also violates the rights of the entire Arab Nation, in addition to millions of Muslims and Christians around the world.